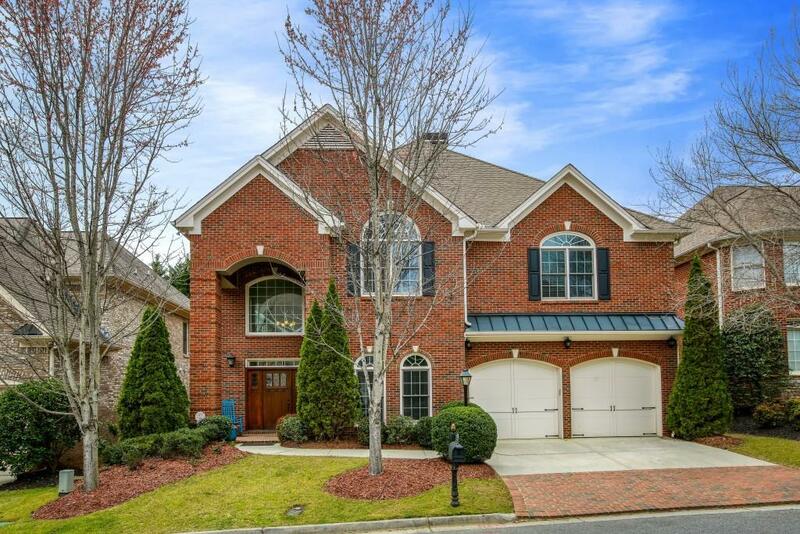 Master on main in Wembley Hall w/ soaring ceilings. Hrdwd floors on main. Open flrplan w/ formal dining & dramatic 2 story fireside fam rm. Kit w/ stainless appl & granite opens to fam rm. Inviting patio & garden area, fenced in. Oversized master suite w/ double trey ceiling, large bath w/ his/her vanities and walk-in closet. Upper lvl features open loft, 3 bedrms. Close to Marta. Directions: Ga 400 North To Exit 5a/Abernathy. 1st Left On Peachtree Dunwoody. Pass North Springs Marta Station On Left. Wembley Hall On Right Before Spalding Drive. Second Left On Wembley Circle. Home On Left.